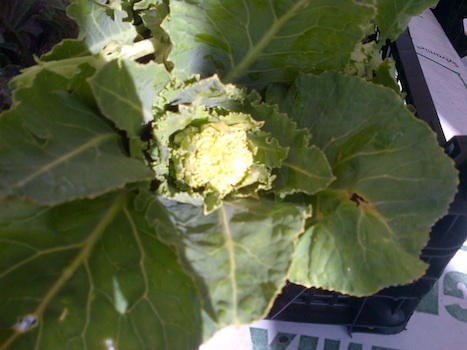 Yes officially (well, in my head), it’s the start of the new growing season today – hurrah! 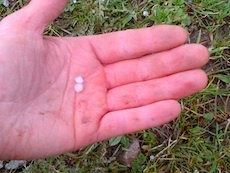 Even though I’ve sown a few trays of lettuce and kale already, and the tomatoes and peppers have started to germinate, the real start of the growing season feels like today because a) the sun came out, and b) I’ve drilled the first lot of early spring crops in the polytunnels! 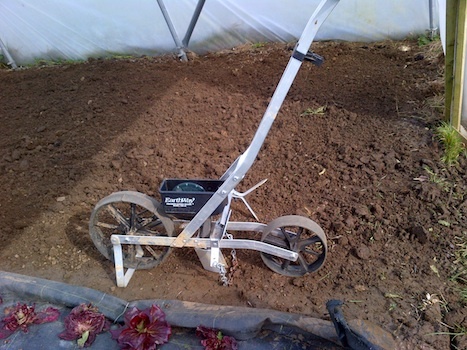 Still, Howard did do a good job for most of the space, and fortunately the soil was in pretty good condition – pr obably partly because it was covered in Mypex, so kept weeds down, and let worms etc do their thing, leaving nice fluffy soil underneath. 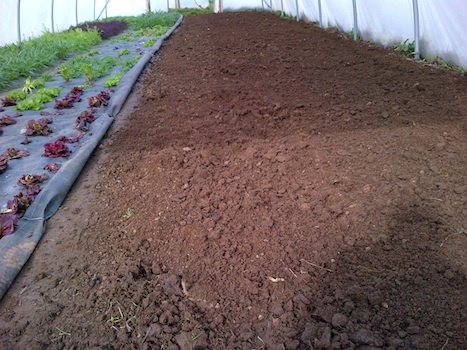 So I just raked over the last unrotovated bit – it does make me think I should put more effort into trying to make the polytunnels completely No Dig – Charles Dowding would be so proud! Speaking of which: SEEDS HAVEARRIVED! So exciting! 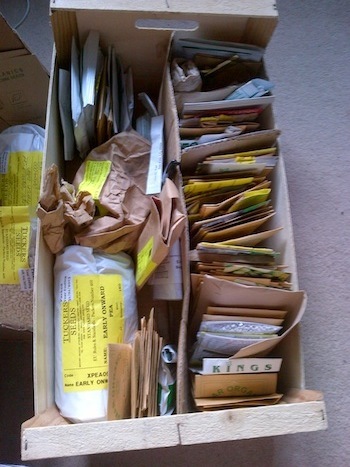 I love this time of year, and could happily spend hours aranging all my seeds into sowing or alphabetical order. 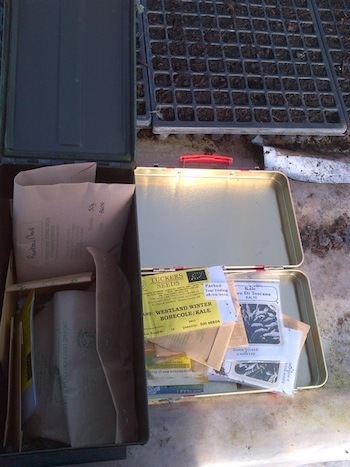 I keep the ones at the farm in old ammo boxes or tins, to keep the pesky mice and damp out, and they do a grand job. 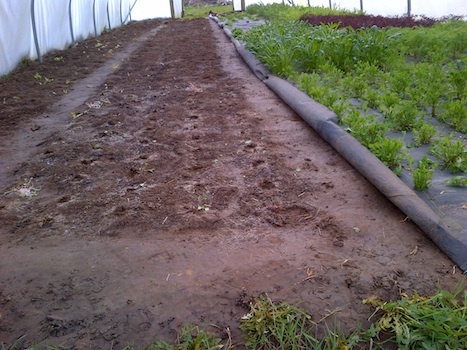 Next week it will really start feeling like spring is around the corner, since I’ll be clearing out the Fivepenny polytunnel and drilling the first lot of spring crops: carrots, coriander, and maybe some baby turnips. Happy weekend if you’re playing with seeds too! As I get older it becomes more obvious that most people aren’t in fact evil. At least not completely eveil. Many are stupid (including myself); and exhibit silly behaviour occasionally, due mostly to not thinking things through (either due to lack of time, experience, patience, knowledge or all of the above). The consequences of these actions can be ‘evil’ to some ie very negative outcomes on their life, especially when said silly people are in positions of power over others. But if the motive isn’t one of evil, is it an evil action? (Thanks Kant.) ‘Misguided’ is probably better; and if not inherently evil, they are convince-able of another point of view. So thinking about the political and media storms over the actual storms recently, it’s human nature to try and find someone/thing to blame – this makes evolutionary sense, because if you find the cause, you can alter the inital conditions it so it won’t happen again (whether it’s to remove an inept politician, dredge rivers, plant hedges, look after soil better, slow down climate change etc etc). However there is vary rarely one single cause to a problem; and this approach of looking for one magic silver bullet to solve every problem is very indicative of our thinking as a society. It’s easer and quicker to focus on one thing of course, when everyone has so much else to think about; but to really solve a problem, we need to consider a range of factors. I do worry when I see and hear opinions that divide so completely down the middle over issues such as flooding. Maybe it’s trend of the latest super hero movies: Superman vs Batman; Farmer vs Environmentalist; Business vs Consumer; bankers vs The World. In fact many farmers are environmentalists; everyone working in ‘Business’ is a consumer too; bankers and their families are affected by the economic downtown. History suggests that turning issues into black and white drawn battle lines is a sure-fire way to encourage extremists and fascists. So while people who bang on about holistic systems, being mindful of a range of causes and not focussing on one particular issue may be unpopular, branded as out-of-touch ineffectual hippies, I do have a lot of sympathy with them. I find myself being pushed into a staunch anti-GM camp, for example, mostly because I’m worried about the dependancy and exploitation of such a proprietorial system, at a cost to more resilient systems such as organic and open-pollinated seeds; but I can’t believe that everyone involved in GM is an evil corporate-type. Many proponents and backers will simply believe that it’s a potential answer to food shortages; and see the ground-breaking science as an essential step to improving the life of thousands of people. It’s up to those who disagree with the reality of the vision to explain why; and I find myself getting frustrated when the sound arguments against GM fall on deaf ears and are ignored rather than examined properly, so tend to give up and withdraw into “they just don’t want to be convinced because they’re simply short-sighted, money-grabbing idiots”. This is probably at least partly a failing on my side though, for giving up or not marshalling the aguments clearly enough; as well as the other ‘camp’ for not leaving their entrenched battle lines either, and countenancing an opposite view. Similarly with the NFU vs George Monbiot interviews over the last few weeks. I think this at least is evolving into a more mature argument (fingers crossed it continues that way): the first interview I saw was on Newsnight, with NFU arguing for dredging; and Monbiot arguing vs dredging, and for more upland hedges to be replanted. They both would probably have included other possible solutions as part of their plans for avoiding further flooding, but the media ‘angle’ of course was to cut to the chase and find what they disagreed on. Now Monbiot, writing in last week’s Guardian, suggests that soil has been damaged so much by maize production, that the floods were inevitable. 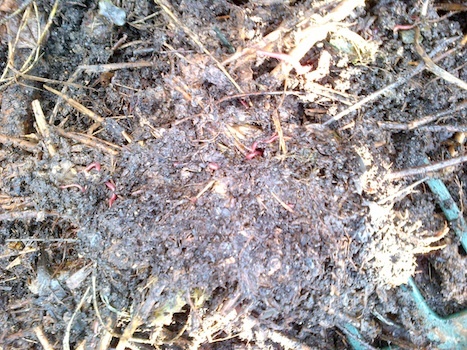 I certainly agree that soil treatment by conventional larger farms has played a massive part in the land not being able to cope with the water: fields left bare over winter means no roots to mop up some water and slow the movement of the rest, and no foliage canopy to prevent the drops smashing into the soil and compacting the structure further; reliance on chemicals rather than manures and mulches means less organic matter in the soil to absorb water and improve the structure; compaction from heavy industrial machinery means no drainage down, leading to soil erosion, which means less soil than before to mop up water and worse soil structure, and so on ad infinitum. However, there he still has a ‘greedy farmers’ tone which is a little uncomfortable to read; especially when some (probably not all) farmers are simply trying to find crops to grow which will mean that their farms can survive, let alone make a profit. But then again, these farmers will have other options on what to grow, even though it will probably mean much harder choices (giving up some land; starting new enterprises; renting out land to new soil-friendly businesses; diversifying). Attacking someone will automatically mean they assume a defensive position, which will of course be head-on, so you can see you attacker clearly. So battle lines are drawn again. Sigh. It’s hard seeing both sides sometimes. In the end you have to take some action. Time for a cuppa tea.